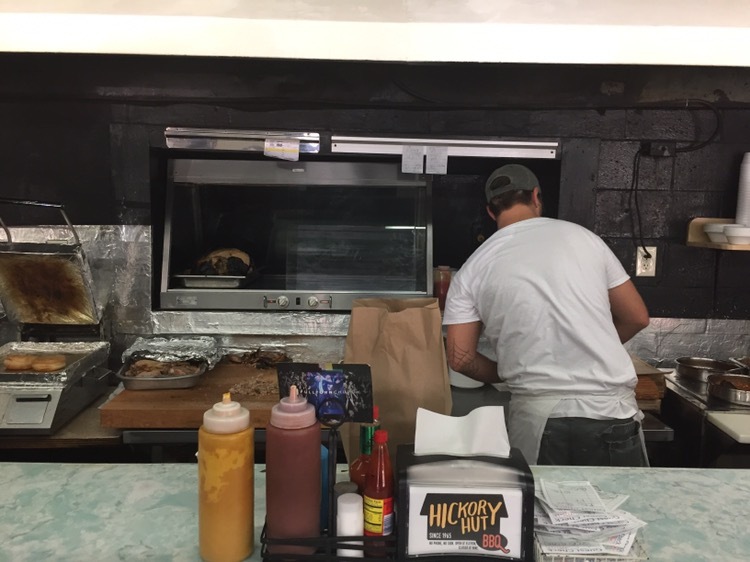 Having driven by the Hickory Hut BBQ dozens of times, I finally had the chance to visit on this Friday. Just under the bridge, as you head west out of downtown Dallas, they are there on the right, where they’ve been since 1965. For a place that advertises no phone and no sign, I was really surprised to find that they have a web page, although it appears to not have been updated since 2014. As you walk into the front door, you place your order at the end of the counter facing the door (to the left in this picture). While, by definition in the South, “barbecue” equals pork, if you go hear, I hope that you like pork barbecue – because that’s all that they have. In addition to the pork barbecue (which you can get on a sandwich, a plate, fries, potatoes and salads), they have chili, burgers and chicken fingers. I’m fairly certain that everything other than the pork (and maybe parts of the chili) comes from a food supply company. The fries were definitely frozen. 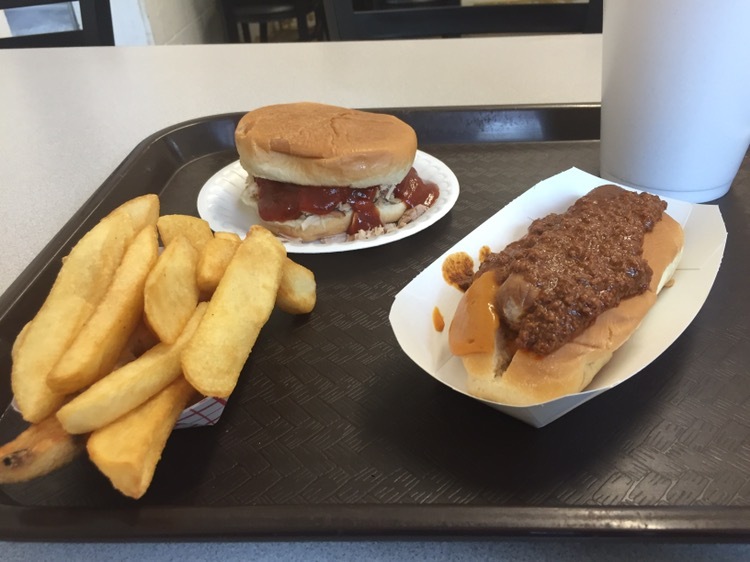 I ordered a chili dog, a pork sandwich and fries. The pork sandwich was dry and not very smoky, the chili on the chili dog was pretty good, although the dog wasn’t much, and the fries were frozen steak fries. I know that it has fans, as does Hudson’s in Douglasville (the barbecue heart likes what the barbecue heart likes), but I won’t be making tracks back to either any time soon.